Sculpture trails are so popular. You have free access to some outstanding artworks and, in the case of the Sculpture Encounters at Victor Harbor, you get to enjoy them in one of South Australia's Premier tourist destinations! Sculpture Encounters on Granite Island is a permanent exhibition of sculptures from 18 different local, interstate and international artists. They are magnificent on the landscape - taking in the breathtaking scenery of the island and the southern coastline. Granite Island Recreation Park is a natural granite wonder. Once upon a time, it was connected to the mainland. There is signage around the island that explain the island's early beginnings which date back approximately 480 million years ago. The sculptures have been leased from the artists who have previously exhibited in either the Sculpture by the Sea exhibitions at Cottesloe Beach in Perth or on the Bondi to Tamarama coastal walk in Sydney. Some of the additional artworks have been specially commissioned for the installation Granite Island. There's an app that you can download to your mobile device that allows you to access the trail map and all of the background information on each artwork. The app is available for both Apple and Android. New sculptures will be added to the collection every six months until the end of 2020, and they are all available for purchase. Sculpture Encounters is named after the encounter between explorers Matthew Flinders and Nicolas Baudin in Encounter Bay in 1802. 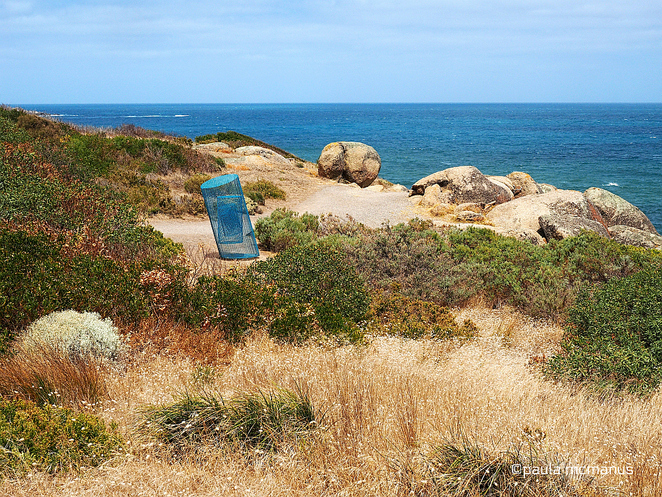 Sculpture Encounters – Granite Island is a partnership between the State Government and arts not-for-profit Sculpture by the Sea Incorporated, the cultural force behind the acclaimed Bondi Beach and Cottesloe outdoor sculpture exhibitions. 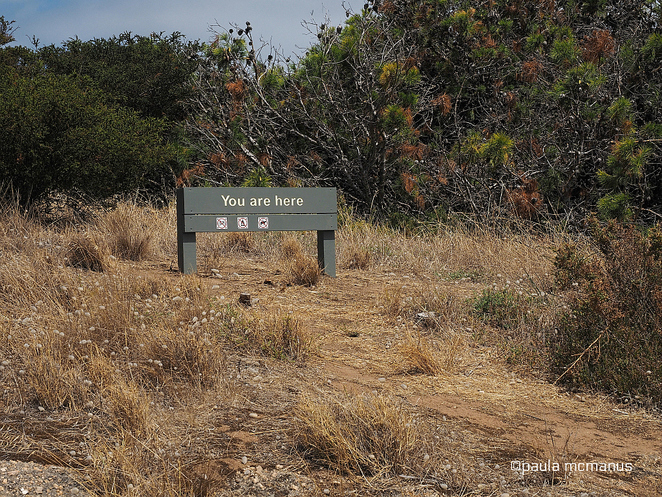 Granite Island is approximately 70 kilometres south of Adelaide and is open 24 hours a day, seven days a week. Dogs are not permitted on the Island - this is to protect the very vulnerable Little Penguin colony. Toilets and a cafe are located at the eastern end of the island and most of the walking trail is pram and wheelchair friendly. Entry to the Island is free. Why? 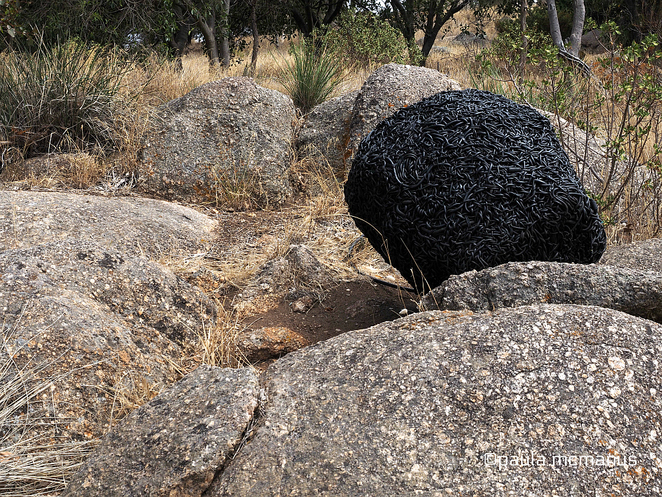 Sculpture trails are so popular. 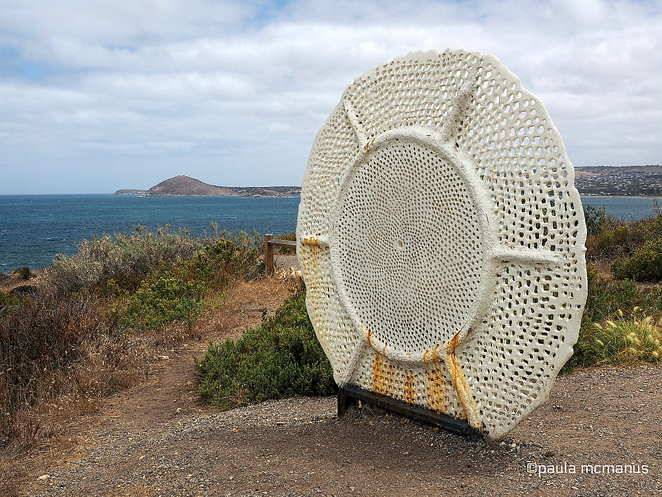 You have free access to some outstanding artworks and, in the case of the Sculpture Encounters at Victor Harbor, you get to enjoy them in one of South Australia's Premier tourist destinations! Finally! 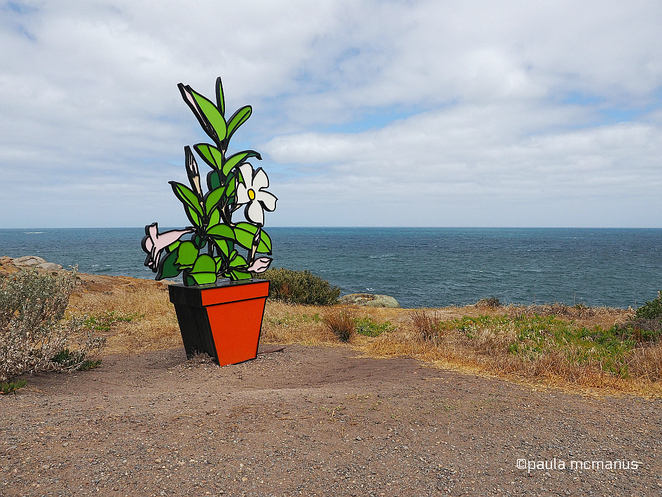 Something new on Granite Island! I loved the sculptures and your photos Paula. I like articles about short walks, even in I don't understand the art.